My paintings have a sense of stillness and have been described as dreamlike. The art keeps evolving and becomes more complex with every new experience. The body of work skillfullly blends nature and abstraction, sometimes in energized images and at other times in tranquil and contemplative evocations. My inspiration comes about because of the process. Several paintings that are in different stages of completion are worked on at the same time. I begin by letting paint flow on the canvas rotating it as rivulets of color drip freely forming suggestions of images. With these marks I envision landscapes and proceed to bring out whatever the canvas suggests: perhaps a pond, grove of trees or mountains. Metallic pigments mixed with solvents are alternately layered with thin layers of oil paint, building up several layers per painting. This method gives the art a reflective glow. Texture and corrosive elements also result from this painting method and are intentional. This method of painting is a result of experimentation with oil paints, solvents and metallic pigments that began in 1999. It is a culmination of having worked with different media like pastel, watercolor and colored pencil over the last 25 years. Some of the paintings are also embellished with colored pencil and cold wax. Photo reference is sometimes used as a springboard for my images. At other times the imagery comes from my imagination. I spend a lot of time photographing the landscape when not in the studio. I was born in Croatia and emigrated to Chicago in the 1950's. Southern California has been my home since 1986. 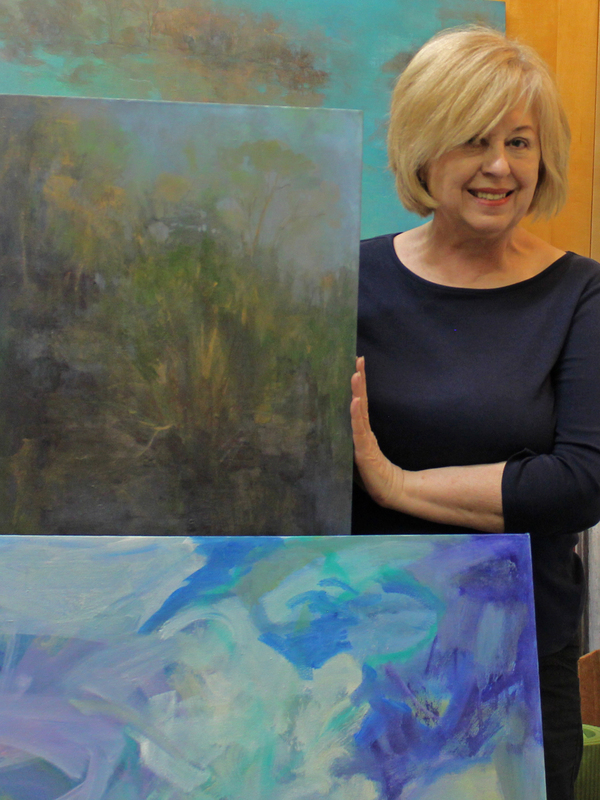 I started exhibiting in 1990 and currently maintain a studio in Orange county California.